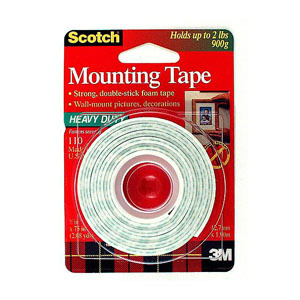 3M 110 Foam Mounting Tape is perfect for wall mounting kitchen, office and bathroom accessories, pictures and decorations on most types of clean, dry smooth walls. 3M 110 Foam Mounting Tape is a high density and permanent double-stick foam tape. Mounting tape has the strength to holds up to 900 grams.